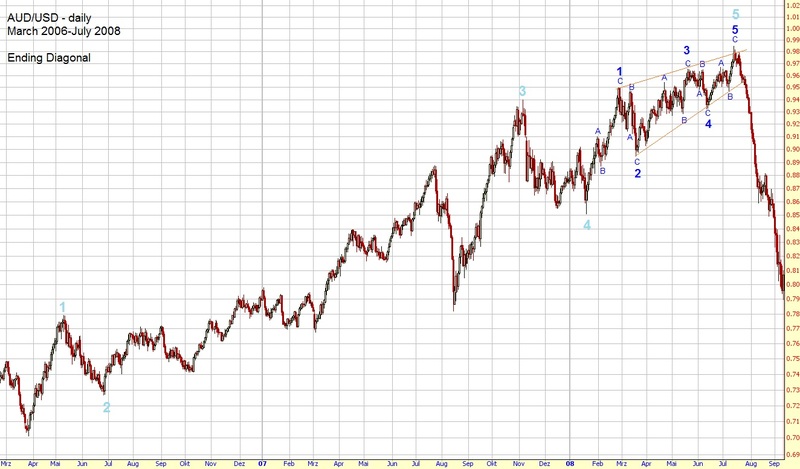 As you’ve learned in chapter 1 motive waves consist of five waves and are labeled 1-2-3-4-5. 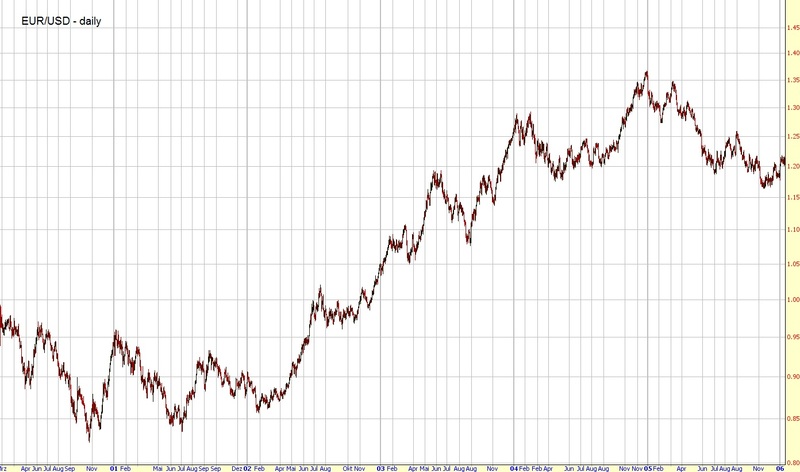 They trend in the same direction as the wave of one larger degree. The impulse is the most common motive wave and subdivides into five waves. 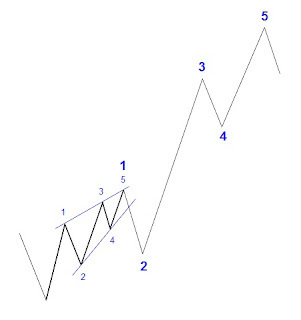 Waves 1, 3, and 5 are motives themselves. 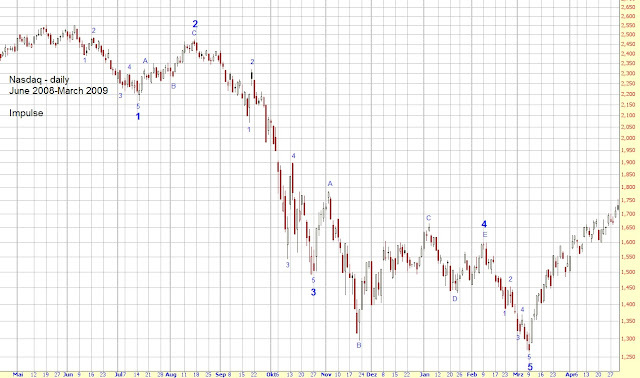 Moreover, wave 4 doesn't enter the price territory of wave 1. 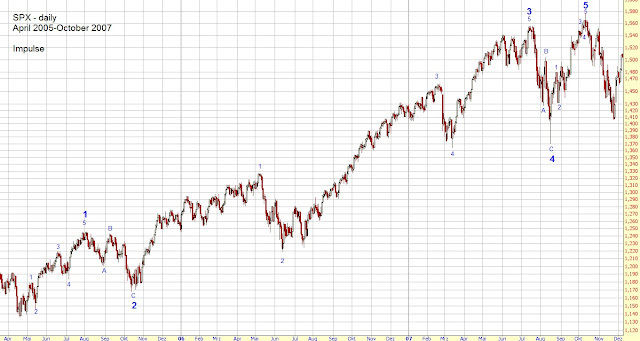 Wave 3 of an impulse is always an impulse itself. 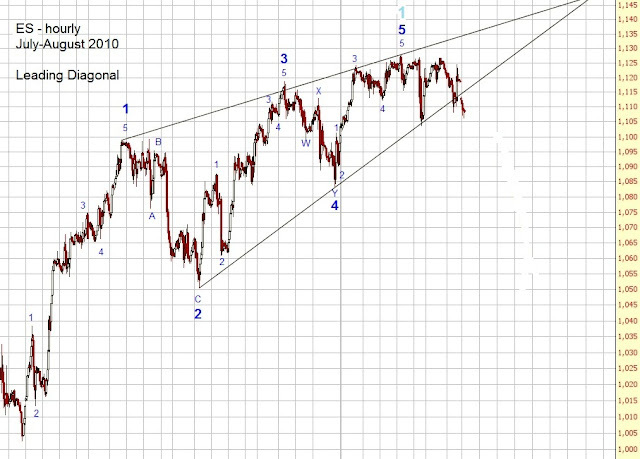 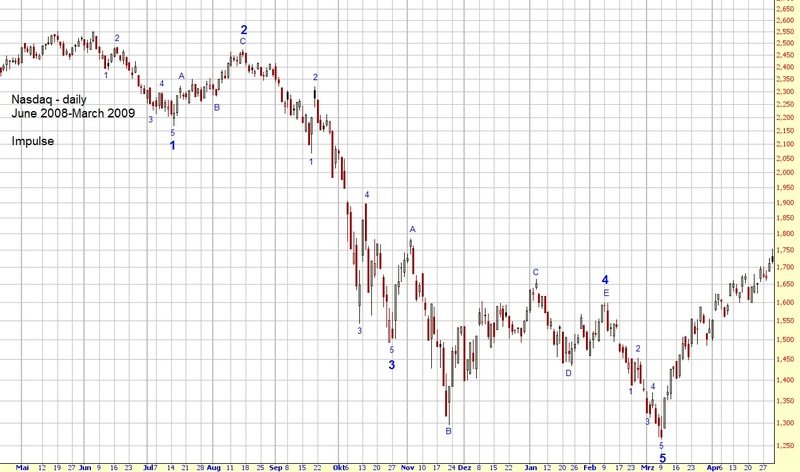 Waves 1 and 5 usually are impulses as well but can also be diagonals which we'll look at in the next section. 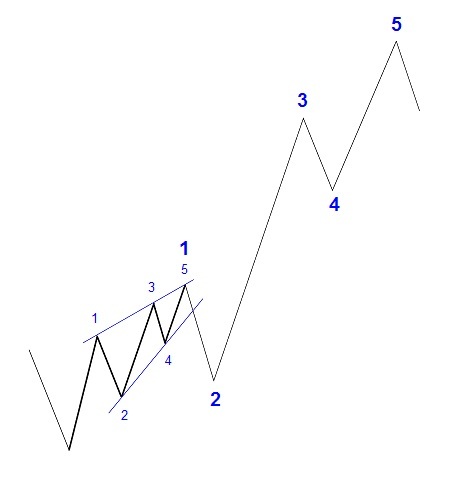 Waves 2 and 4 can be any type of correction (see chapter 3). A very nice example of an impulse which occurred during the 03-07 bull market. Another nice example of an impulse. 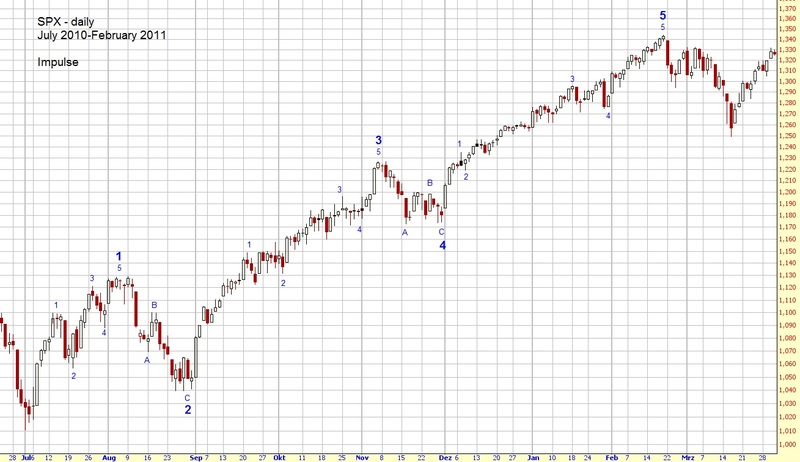 The subwaves of waves 3 and 5 might be a bit tricky to identify but the whole five-wave-structure should be very obvious. 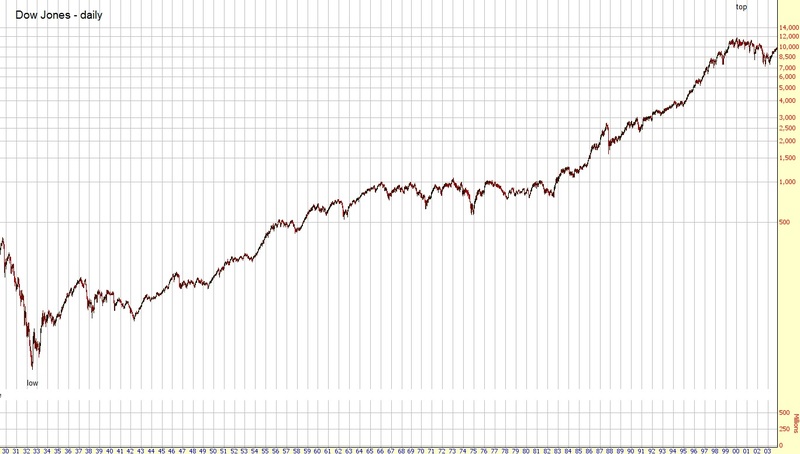 The big crash in 2008 was part of an impulse which started already a few months earlier. 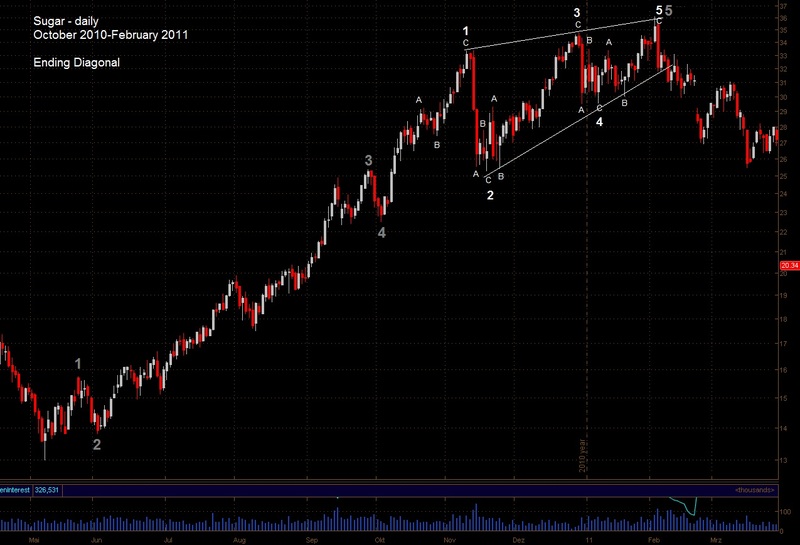 A diagonal is similar to an impulse with the exception that wave 4 does enter the price territory of wave 1. Moreover, wave 1 is longer than wave 3 and wave 3 is longer than wave 5. 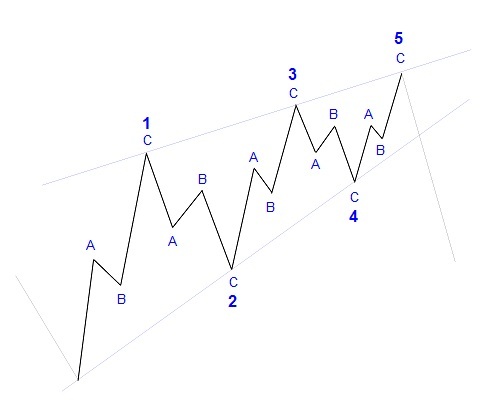 As a result, diagonals take on the shape of a wedge. Ending diagonals terminate an impulse of one larger degree and occur in the fifth wave position. 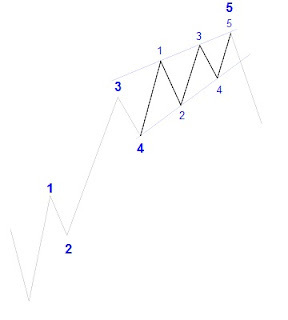 They form a wedge and each subwave subdivides into three waves. Sometimes ending diagonals also occur in the C wave position to complete a correction. 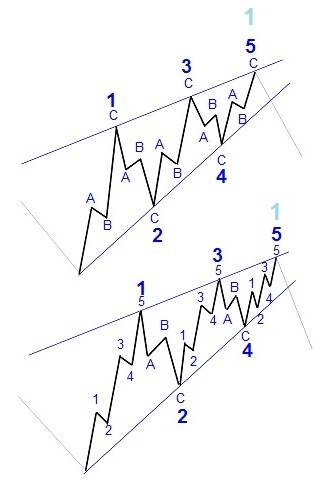 Leading diagonals appear at the start of an impulse and occur in the first wave position. 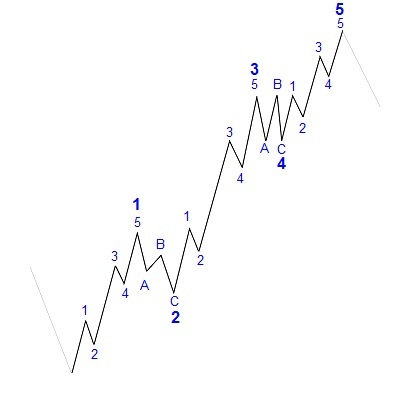 They differ from ending diagonals in that the actionary waves 1, 3, and 5 sometimes subdivide into five waves. 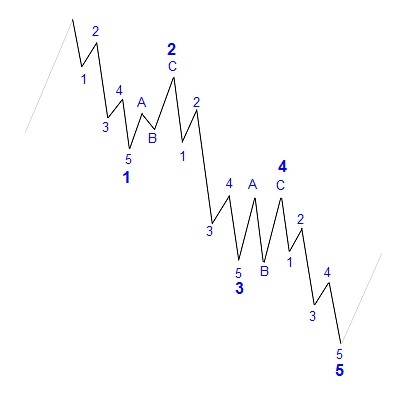 Sometimes leading diagonals also occur in the A wave position at the start of a correction. 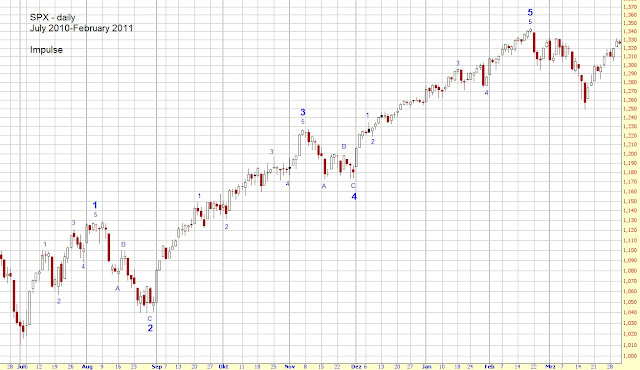 Wave 1 of the impulse I showed you in Example #2 in the impulse section is a leading diagonal. 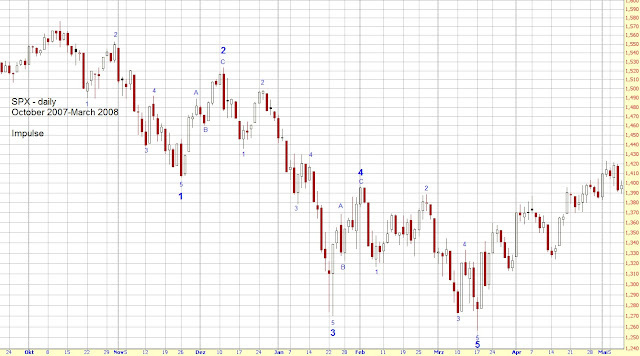 In the next chapter you'll learn the different types of corrective waves.